Organic Citronella Essential Oil (Cymbopogon Nardus) - Sweetgrass&Rain Inc.
Citronella Essential Oil is extracted from a resilient, highly aromatic grass native to Java and Sri Lanka. It is a perennial that grows approximately 1 meter (3 feet) in height. Citronella is often combined with other Essential Oils and used in patio candles and torches as it is well known for its bug repellent properties. 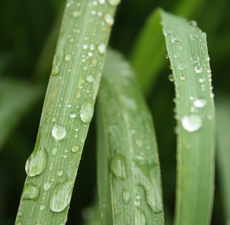 Citronella Essential Oil has a distinctive strong, sweet lemongrass aroma with sharp fresh notes.